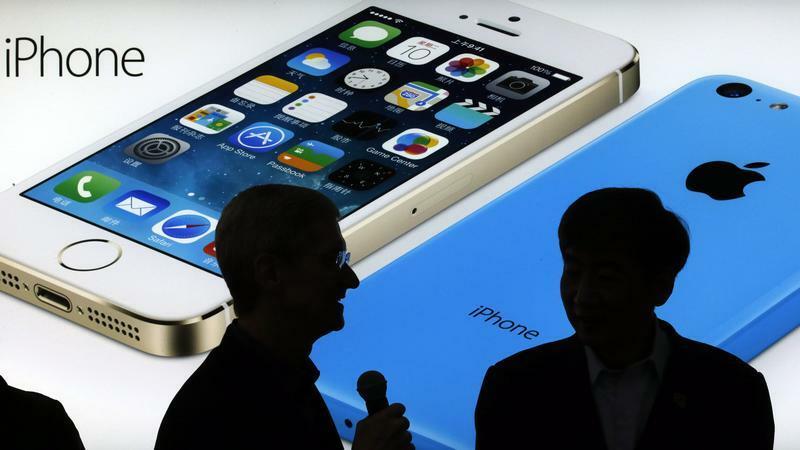 The 48 percent growth in China iPhone sales in the last quarter-year is strong. But seen from the Middle Kingdom, Apple vies with large rivals U.S. consumers have barely heard of, like Xiaomi and Coolpad. As they gain share too, Apple will struggle to be more than an also-ran. Apple Inc. CEO Tim Cook (L) and China Mobile's Chairman Xi Guohua are silhouetted in front of an advertisement board of the iPhone 5s and C at an event celebrating the launch of Apple's iPhone on China Mobile's network at a China Mobile shop in Beijing January 17, 2014. Apple on July 22 reported revenue of $37.4 billion for its fiscal third quarter ending June 28, an increase of 6 percent from the same period last year. The company earned $7.7 billion, or $1.28 per share, up from $6.9 billion, or $1.07 per share, a year ago. Apple sold 35.2 million iPhones globally in the quarter, 13 percent more than in the same period last year. The number of iPads sold fell 9 percent to 13.3 million. The number of Mac computers sold increased 18 percent to 4.4 million. Sales in greater China increased 28 percent year-on-year to $5.9 billion, or 16 percent of Apple’s total revenue in its third quarter. Apple sold 48 percent more iPhones in China the three months ending June than in the same period last year, the group’s Chief Financial Officer Luca Maestri told Reuters. Beijing-based handset maker Xiaomi shipped 26.1 million smartphones in the first six months of the year, it said in a press release on July 2, almost four times the 7.03 million phones it sold in the same period in 2013. China’s smartphone sales grew by 88 percent in 2013 to 360.1 million units, according to Canalys data. The industry tracker forecasts China smartphone sales to grow by 17 percent in 2014, and 12 percent in 2015.